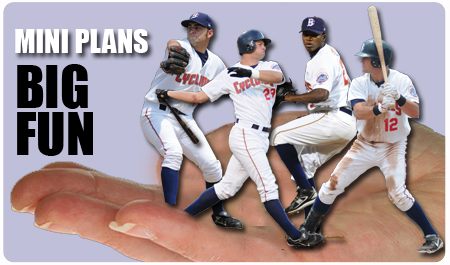 On Tuesday, August 25th, the Cyclones will host American Heart Association Awareness Night, and fans can help in the ongoing fight against heart disease. 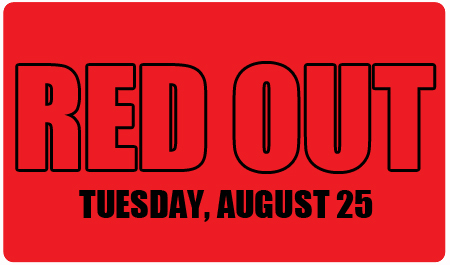 All fans are encouraged to WEAR RED to show their support! 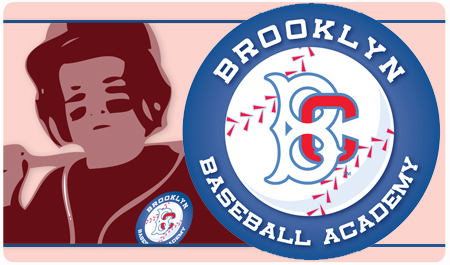 Field Box tickets to the 7pm game against the Vermont lake Monsters are $15, and when you use the code AHA for online purchases, $3 from each ticket purchased will be donated to the American Heart Association - Brooklyn Start! 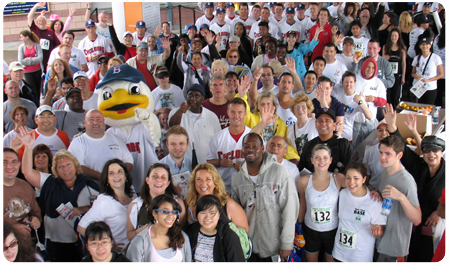 Heart Walk. 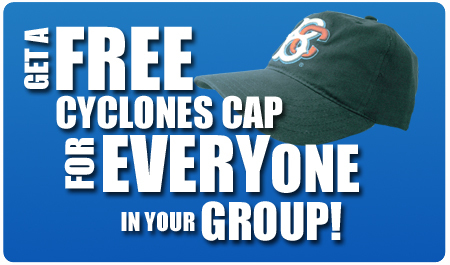 In addition, you'll get a FREE Cyclones cap for every ticket you purchase using the AHA code. The Cyclones will also be wearing special "American Heart Association Red" jerseys on the 25th, which will be raffled off throughout the game, with proceeds to benefit the American Heart Association. 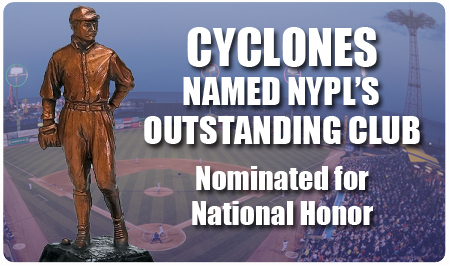 "Millions of people -- friends, families, and loved ones -- are touched by heart disease each year," said Cyclones General Manager Steve Cohen. 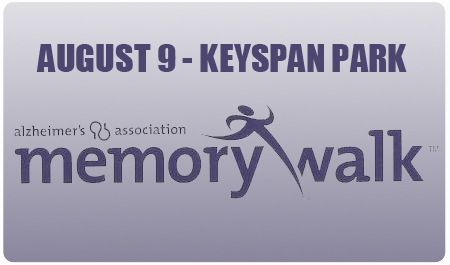 "On August 25th, we have an opportunity to raise awareness, and raise funds to help in a truly worthy battle. 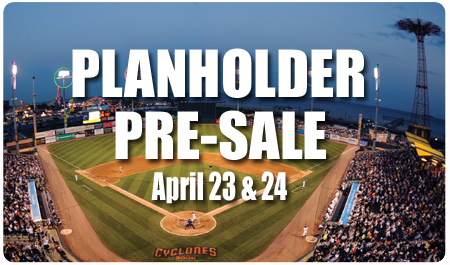 It is our hope that Cyclones fans will stand with us in the fight against heart disease by attending a game that will not only gather allies against a common foe, but provide those involved with a fun, memorable, and productive night at the ballpark." 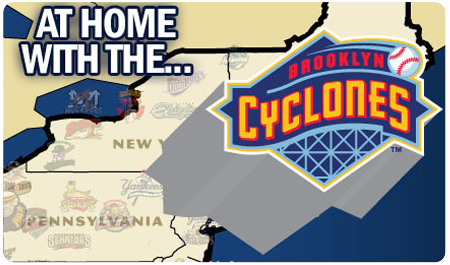 The Brooklyn Cyclones 31-19) lost a second straight game to the Jamestown jammers (20-30) on Saturday night by a score of 2-1 in 13 innings. 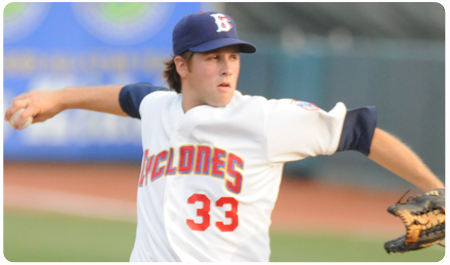 Collin McHugh made his tenth start of the season on Saturday night, and pitched brilliantly. 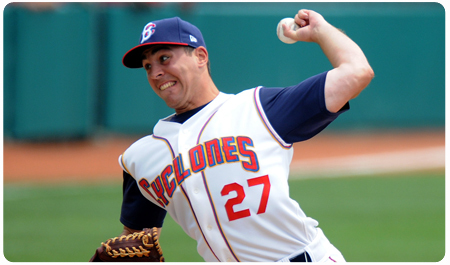 McHugh (pictured, by George Napolitano) tossed 7.0 scoreless innings, allowing just three hits and one walk, while strikinjg out a season-high 12 batters. 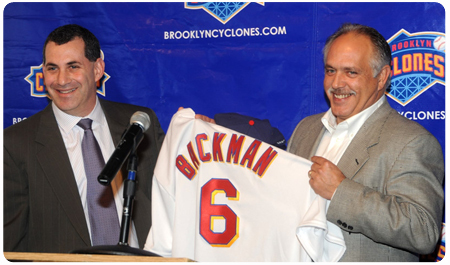 He left with the score tied at zero, and received a no-decision in the eventual Cyclones loss. 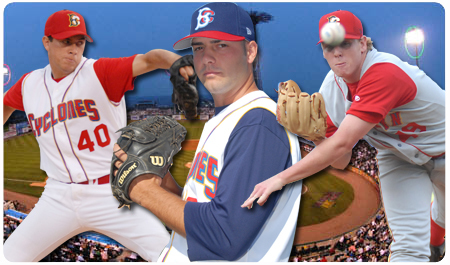 Michael Powers came on in relief of McHugh, and tossed two more shutout frames, surrendering just one hit. 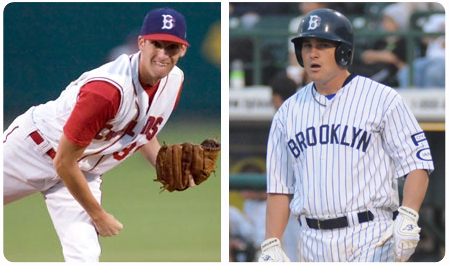 With no score after nine innings, Brandon Sage took the mound for Brooklyn in the 10th inning. 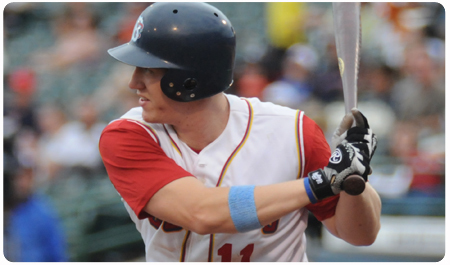 The scoring drought ended in the Jammers' half of the inning, as an unearned run crossed the plate. 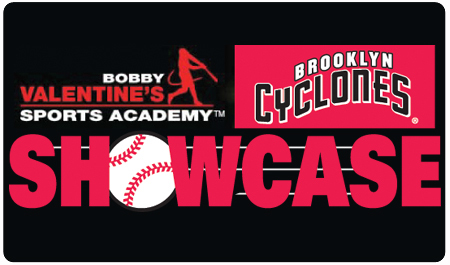 In the bottom of the 10th, though, Brooklyn fought back when Tyler Vaughn led off with a single, and was advanced to second on a bunt by Dock Doyle. 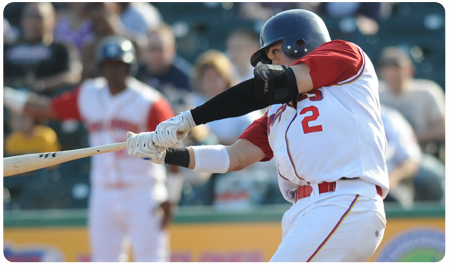 One out later, Ralph Henriquez delivered an RBI single that scored Vaughn and sent the game deeper into the night. 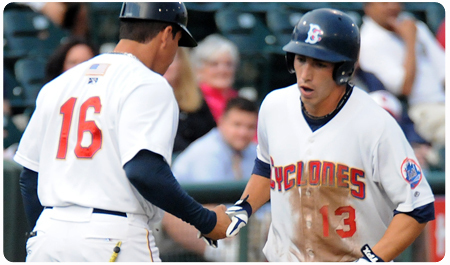 In the 13th, though, Jamestown again scored a single run, and the Cyclones could not respond. Vaughn, Doyle, and Henriquez were the only Cyclones with hits, notching two apiece to give the team a total of six safeties. 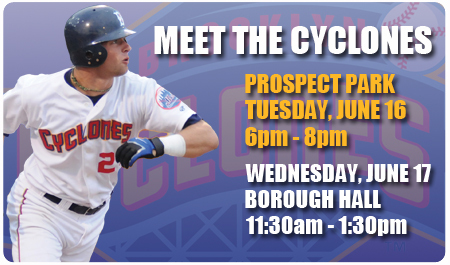 On Sunday, August 9th the Cyclones will wrap up the series with Jamestown at 5pm. 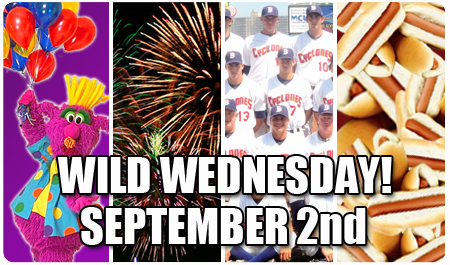 Sunday is Season Ticket Holder Day, and there will also be a pre-game Alzheimer's Memory Walk on the warning track. 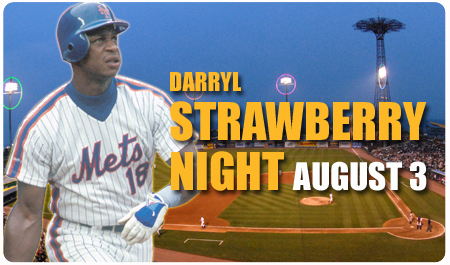 In addition, the first 2,500 fans in attendance will receive a voucher for a free Carvel Ice Cream Sundae. 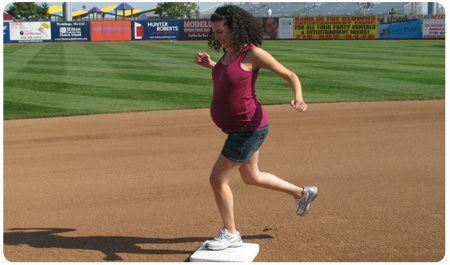 And, every Sunday, kids get to run the bases on the field after the game (weather permitting). 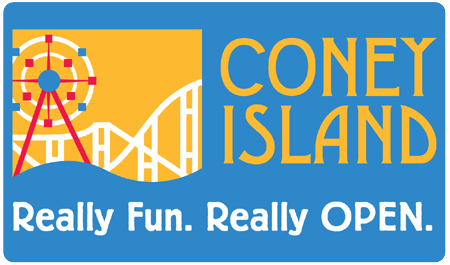 The circus is coming to Coney Island this summer, and fans can save over $125 on the "Greatest Shows on Surf" with a Lions, Tigers & Baseball package. 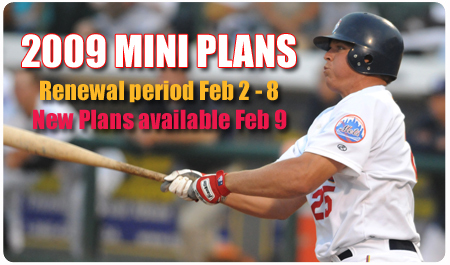 When you purchase a Lions, Tigers & Baseball package, you're paying less than $25 per ticket -- a total of $99 for a package valued at $225! 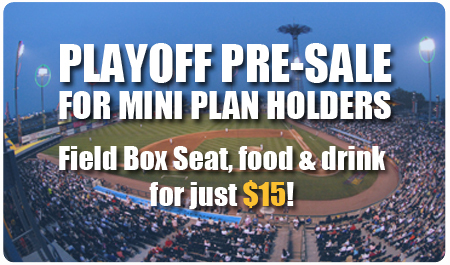 You're saving $126 and getting the best entertainment and baseball in Brooklyn! 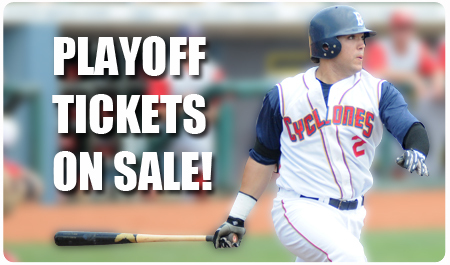 And if you'd like more than four tickets, you can keep on saving, by adding additional tickets at $25 each! 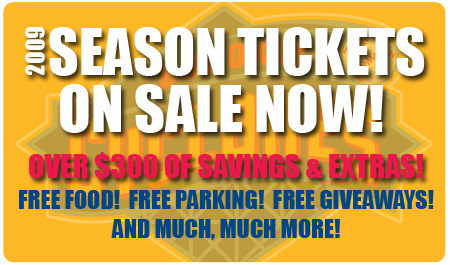 To take advantage of this great deal, enter the code CIRCUS when you click here. 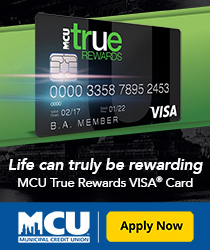 Online and phone purchases are subject to applicable per-ticket service charges. 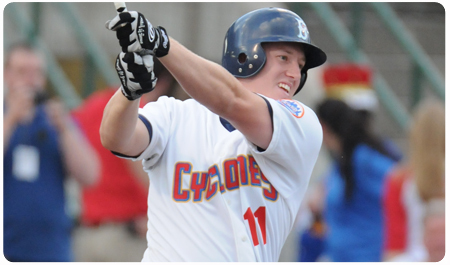 The Cyclones gave McHugh an early lead with back-to-back singles by CF Justin Garber and 2B Andy Green in the Cyclones' half of the first. Garber eventually scored on an RBI groundout by C Dock Doyle. That run proved to be the only one of the game. 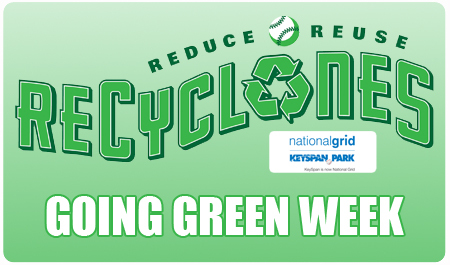 The Cyclones continue their series versus the Auburn Doubledays on Saturday night, when the Cyclones will wrap up Going Green Week by wearing recycled bamboo uniforms and giving away recycled 100% organic cotton t-shirts to the first 2,500 fans in attendance, courtesy of National Grid. 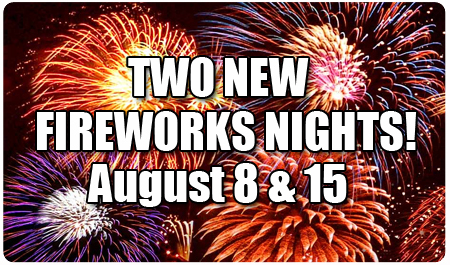 In addition, a fireworks show from inside the ballpark will follow the game. 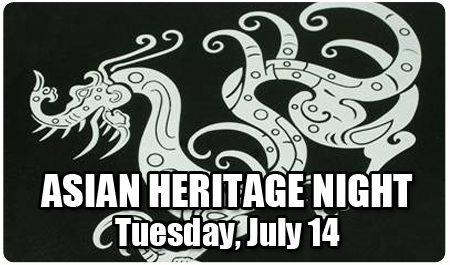 Tuesday, July 14th is Asian Heritage Night at KeySpan Park, with themed entertainment throughout the night. 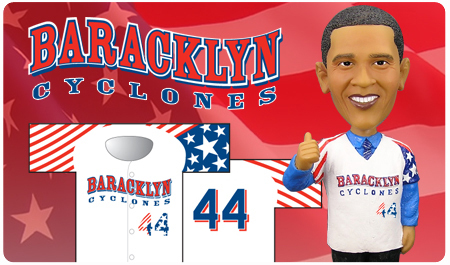 The Brooklyn Cyclones are teaming up with Mr. Fred Fu of the Flushing Development Center and Mr. Alex Peng, who have been instrumental in the organizatuion of the night's entertainment.. 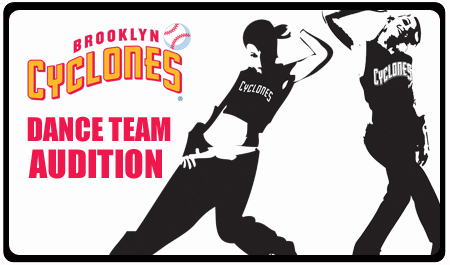 The Yan Zhang Shao Lin Kung Fu School, which has performed at Citi Field, will be performing a pre-game skills demonstration. 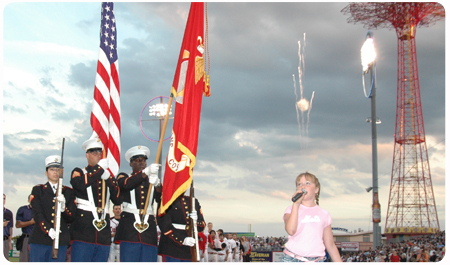 Faith Chyou, a professional Asian-American singer based in New York will be singing the National Anthem. There will also be a dumpling sampling by Chef One. 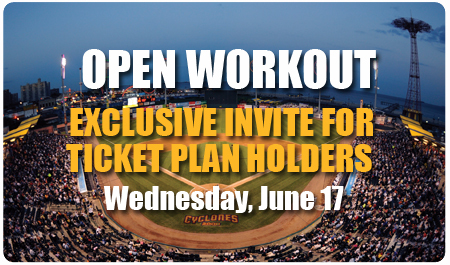 Select fans will receive klonton drums, and the KeySpan Park videoboard will feature fun facts, graphics, and other interactive entertainment. 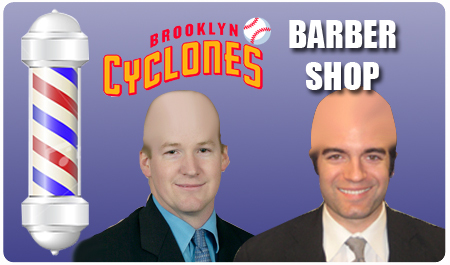 "We are honored to work with some key members of New York's Asian community to help promote and provide exposure for several entertaining and interesting aspects of Asian culture," said Cyclones General Manager Steve Cohen. 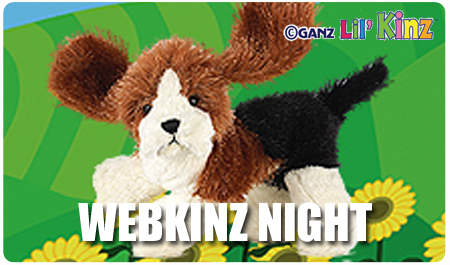 "This night will be an exciting and fun one for all of our fans." Wilco have unveiled new concert dates as part of their upcoming North American summer tour, and will be playing KeySpan Park in Brooklyn on July 13th. Nonesuch Records recently released the band’s new concert DVD, Ashes of American Flags, and a trailer can be viewed by visiting wilcoworld.net or ashesofamericanmovie.com. Shot in High Definition, Ashes of American Flags is a Trixie production in association with Nonesuch Records and dBpm, Inc. Wilco have just completed work on their seventh studio album. 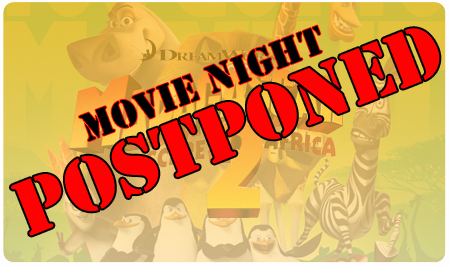 The as-yet-untitled disc is scheduled for a late June release. Produced by Wilco and Jim Scott, it is the follow up to 2007’s Sky Blue Sky. Wilco is an American rock band based in Chicago, Illinois. 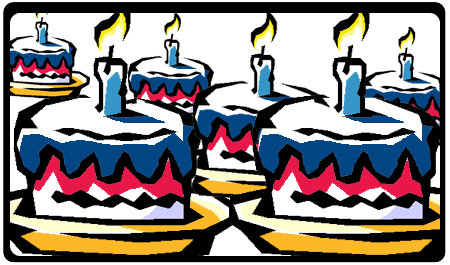 The band was formed in 1994 by the remaining members of alternative country group Uncle Tupelo following singer Jay Farrar's departure. Wilco's lineup has changed frequently, with only singer Jeff Tweedy and bassist John Stirratt remaining from the original incarnation. The other current members are guitarist Nels Cline, multi-instrumentalists Pat Sansone and Mikael Jorgensen, and drummer Glenn Kotche. Wilco has released six studio albums, a live double album, and three collaborations: two with Billy Bragg, and one with The Minus 5. 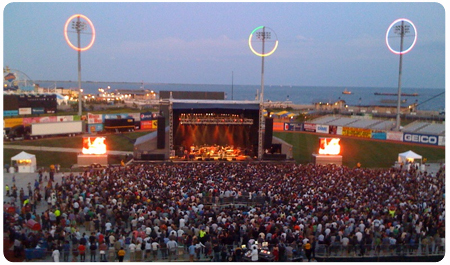 Wilco's music has been inspired by a wide variety of artists and styles, including Bill Fay and Television, and has in turn influenced music by a number of modern alternative rock acts. The band continued in the alternative country of Uncle Tupelo on its debut album A.M. (1995), but has since introduced more experimental aspects to their music, including elements of alternative rock, and classic pop. 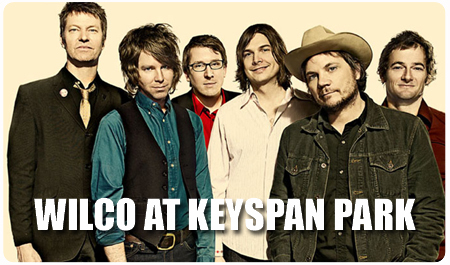 In addition, Yo La Tengo will be opening for Wilco on the 13th. 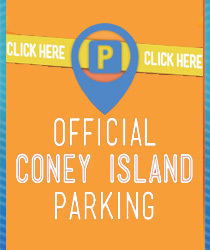 Yo La Tengo is an American indie rock band based in Hoboken, New Jersey. With more than 15 albums released since their formation in 1984, they have demonstrated unusual longevity for the indie-rock scene. 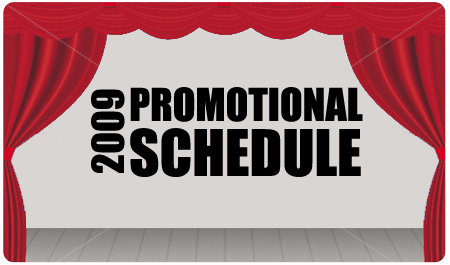 They are frequently regarded as one of the definitive indie rock groups of the 1990s and the band has become a critical favorite with a devoted fan base. 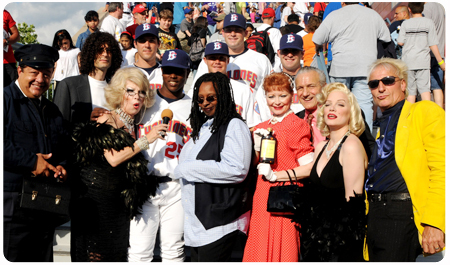 Yo La Tengo also has some serious baseball roots, since the band's name comes from a baseball anecdote. 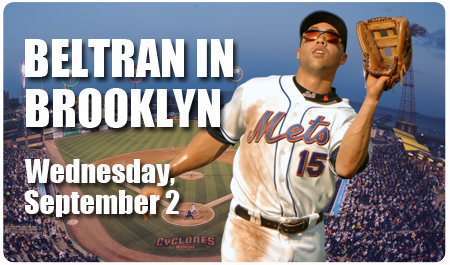 During the 1962 season, New York Mets center fielder Richie Ashburn and Venezuelan shortstop Elio Chacón found themselves colliding in the outfield. 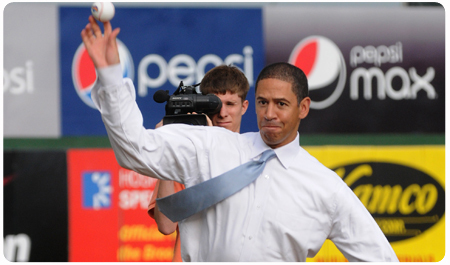 When Ashburn went for a catch, he would scream, "I got it! 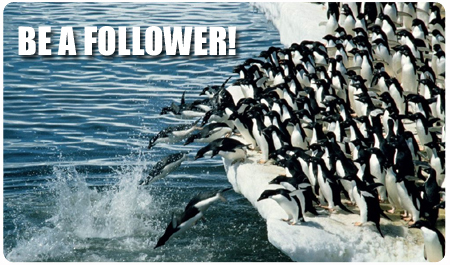 I got it!" 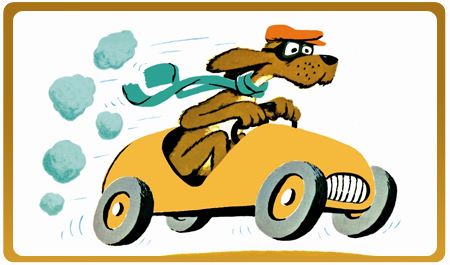 only to run into the 160-pound Chacón, who spoke only Spanish. 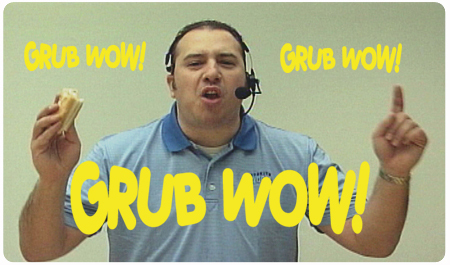 Ashburn learned to yell, "¡Yo la tengo! ¡Yo la tengo!" which is "I have it" in Spanish. 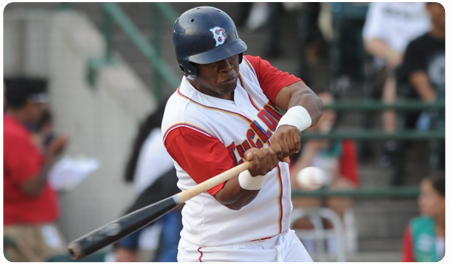 In a later game, Ashburn happily saw Chacón backing off. 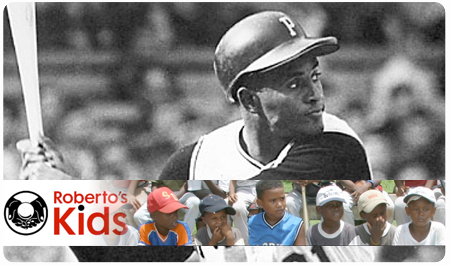 He relaxed, positioned himself to catch the ball, and was instead run over by 200-pound left fielder Frank Thomas, who understood no Spanish and had missed a team meeting that proposed using the words "¡Yo la tengo! 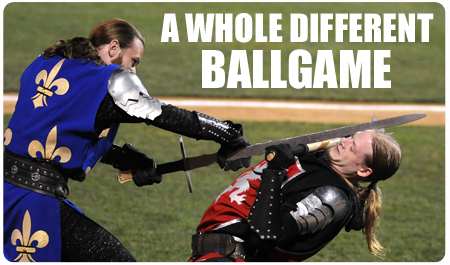 as a way to avoid outfield collisions. After getting up, Thomas asked Ashburn, "What the heck is a Yellow Tango?" 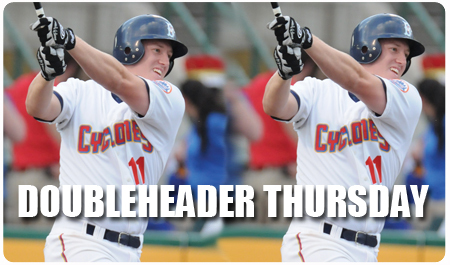 Brooklyn and Aberdeen battled through 16 innings on Thursday night, with the IronBirds ultimately walking away with a 1-0 win. 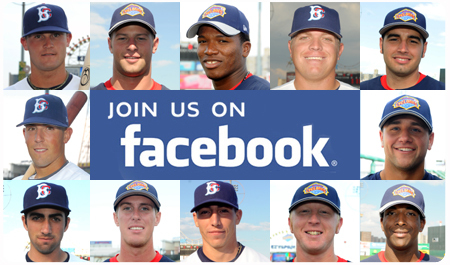 LHP Darin Gorski was brilliant in his first professional start. 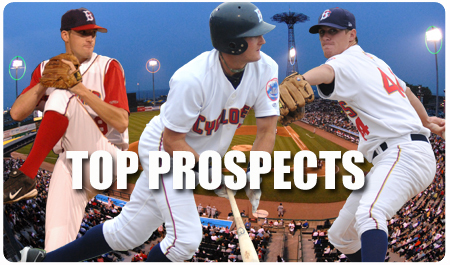 Gorski -- the Mets' seventh-round pick in the June draft -- allowed just one hit in 6.0 innings, and struck out seven batters. 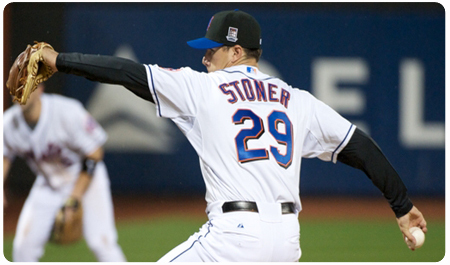 He did not allow a hit until the top of the sixth inning. 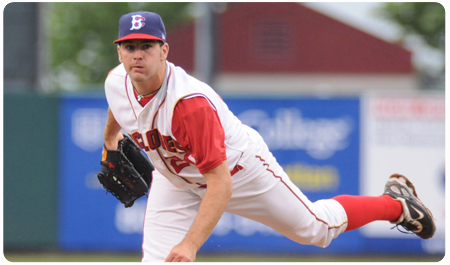 LHP Lance Hoge followed with 4.0 scoreless innings of his own, allowing four hits and striking out two. 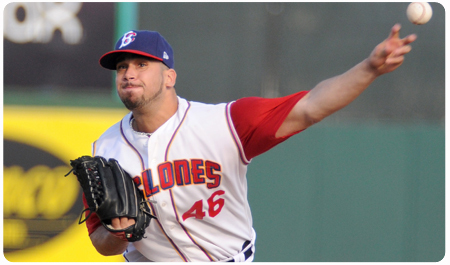 LHP Brandon Sage followed with another 4.0 scoreless frames, and RHP Mike Lynn pitched a scoreless 15th, before surrendering the game's lone run on a play at the plate in the 16th. 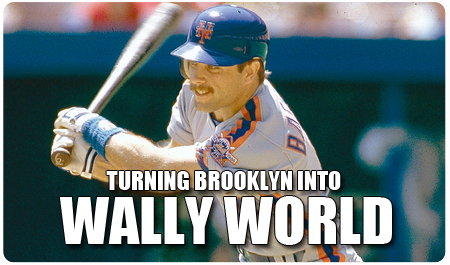 Brooklyn managed just seven hits in the game. 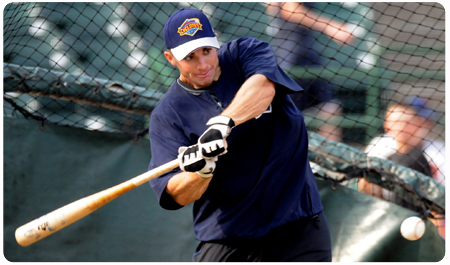 2B Matt Gaski and 1B Sam Honeck (pictured, by George Napolitano) notched two each, and DH Dock Doyle, LF Alex Gregory, and SS Luis Nieves had one apiece. 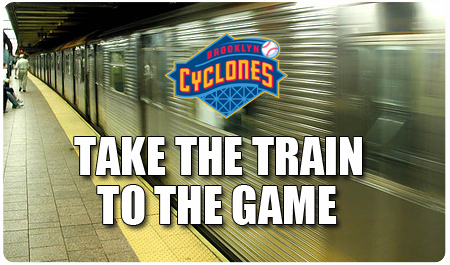 The Cyclones' next home game is on Saturday at 6pm, when Brooklyn takes on the Staten Island Yankees. 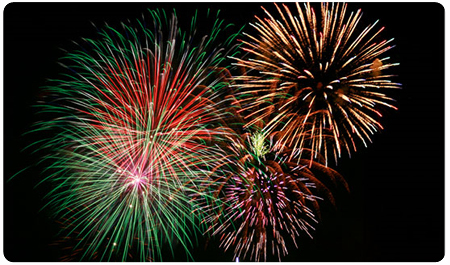 Fans are invited to stay in their seats for a spectacular post-game fireworks show. 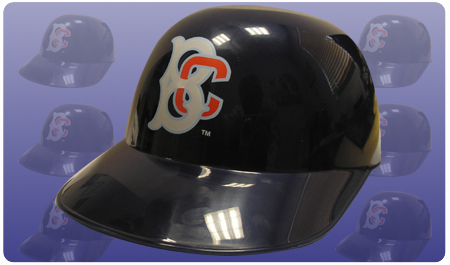 In addition, the first 2,500 fans will receive a Visor, presented by Pepsi. 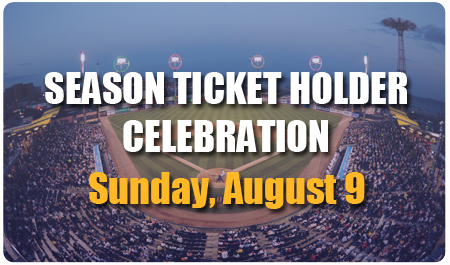 The Brooklyn Cyclones, in conjunction with corporate partners A. Stein Meat and Manhattan Beer, are offering a limited number of FREE tickets to the team's July 9th game to military veterans. 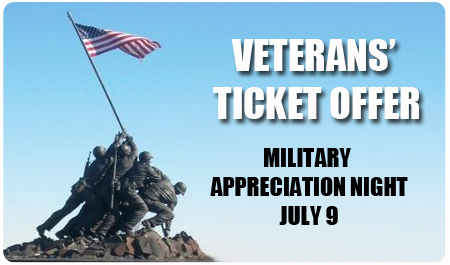 Beginning Sunday at 10am, anyone who shows their active or retired military ID at the KeySpan Park Ticket Office (1904 Surf Ave), will receive two FREE Box Seats to the July 9th game against the Aberdeen IronBirds. 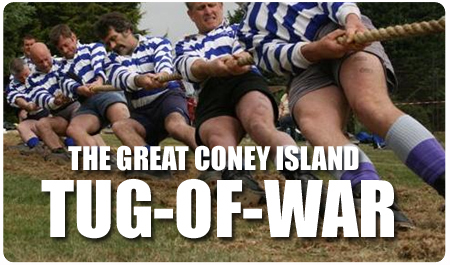 Additional tickets can be purchased for $12 each. 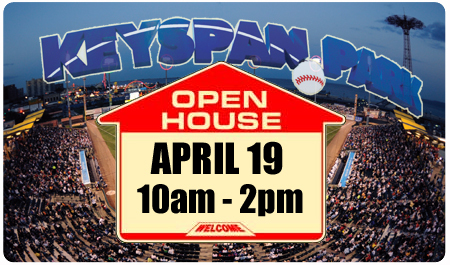 This offer is limited to the first 300 people to show their military ID, and transactions must take place in person ONLY at KeySpan Park. This offer is not available by phone or internet. 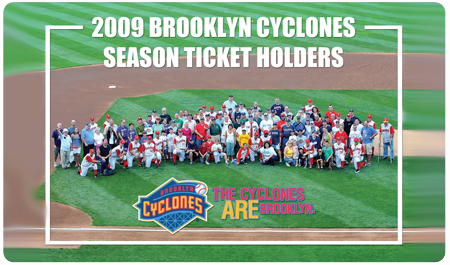 If you are interested in purchasing and donating more tickets to active and retired veterans, please contact Brandy or Katie in the Cyclones Ticket Office at 718-37-BKLYN. 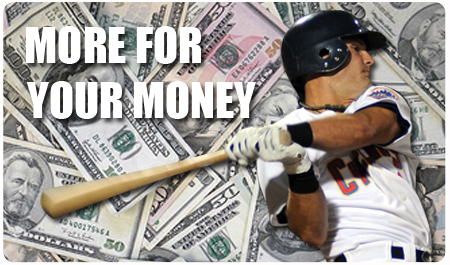 Ticket donation partnership packages start at $100. 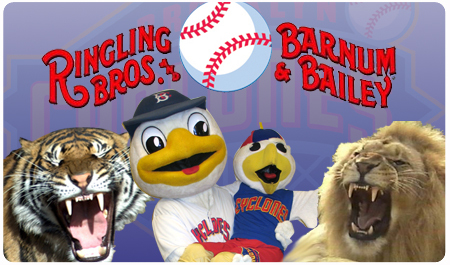 The Brooklyn Cyclones (16-3) lost by a score of 5-4 in extra innings on Wednesday night, losing to the Aberdeen IronBirds (6-13) in twelve innings. 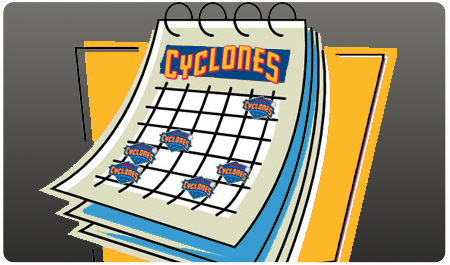 The loss snapped a ten-game winning streak for the Cyclones and put an end to an undefeated record (now 9-1) at home this season. Starting pitcher RHP Wes Wrenn threw six solid innings in his longest outing of the season. 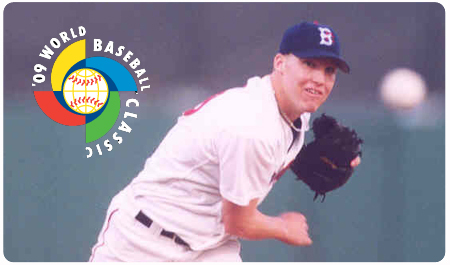 Wrenn (pictured, by George Napolitano) allowed one run on seven hits with three strikeouts and did not issue a walk. 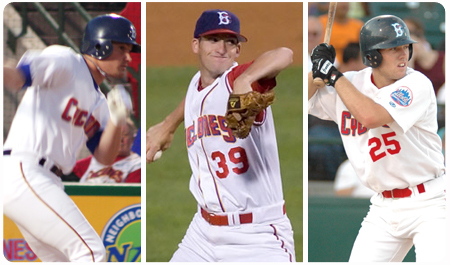 Cyclones’ starting pitchers have allowed only one walk in the last five games. 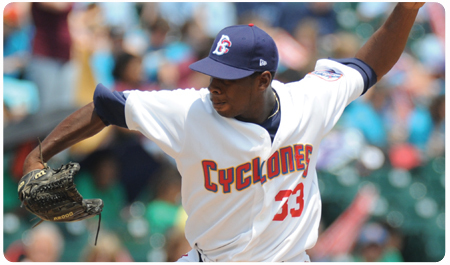 The Cyclones led 3-1 through six innings but surrendered the lead in the seventh when RHP Sam Martinez relieved Wrenn. Martinez faced four batters and did not record an out. 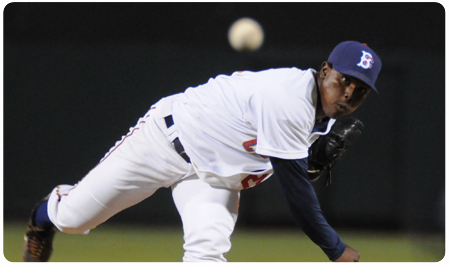 LHP Matias Carrillo entered the game with the bases loaded in relief of Martinez, and two more inherited runners crossed the plate. 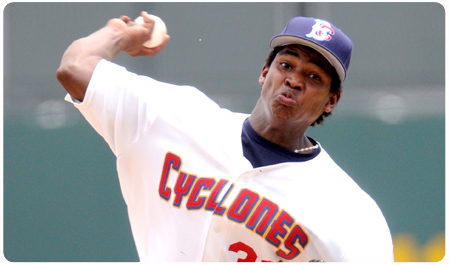 Carrillo pitched two innings and allowed one hit and struck out one batter. 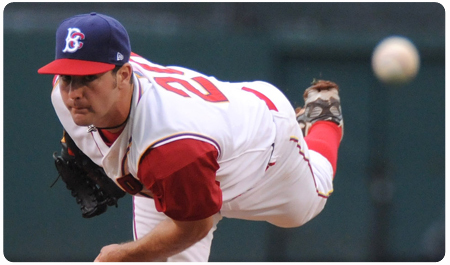 RHP Erik Turgeon relieved Carrillo in the ninth, and went one inning, allowing three walks with one strikeout. 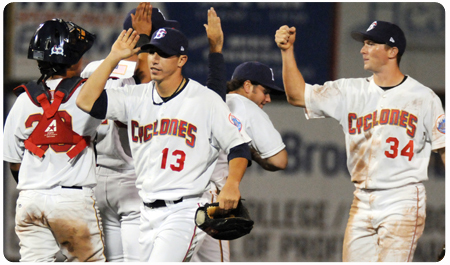 In the ninth inning, the Cyclones rallied to tie the game. LF Alex Gregory, who had two hits in the game, led off the inning with a double. 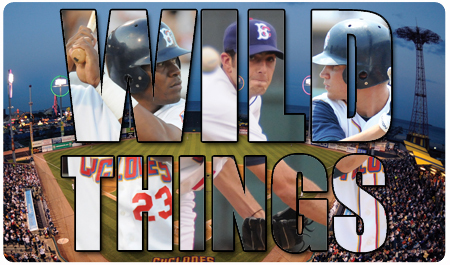 C Dock Doyle pinch hit for 2B Matt Gaski in the ninth inning and doubled to score Gregory and tie the game at 4-4. RHP Michael Powers relieved Turgeon in the tenth and pitched three innings. 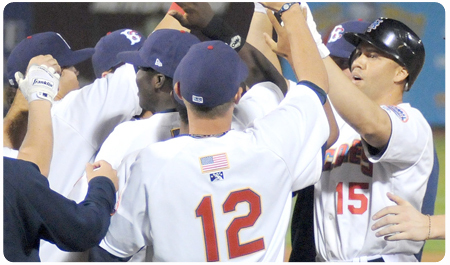 Powers’ first two innings were nearly flawless, but in the twelfth inning he would surrender the go-ahead run for Aberdeen after a wild pitch advanced the runner to third base. It is Powers’ first earned run of the season. 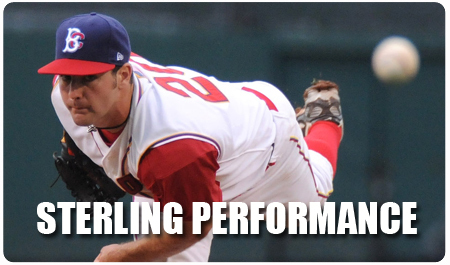 In three innings he allowed three hits, one run and struck out one. 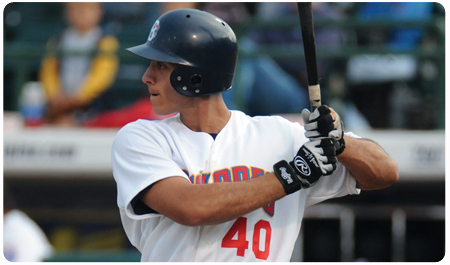 In the first inning, CF John Servidio led off with a solo home run (ties the league lead with four home runs) over the left field wall. Servidio went 3-4 with two doubles and two RBI. 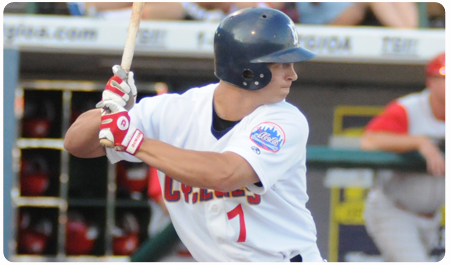 The Cyclones scored their third run on a fielding error by the Aberdeen third baseman. 1B Sam Honeck had three hits, LF Alex Gregory notched two of his own and 2B Matt Gaski and C Juan Centeno contributed with a single apiece. 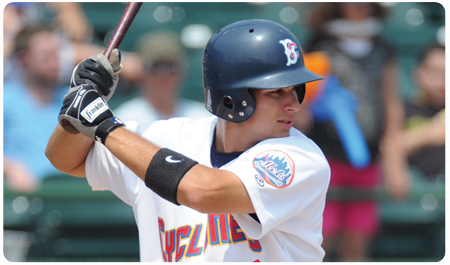 The Brooklyn Cyclones face the Aberdeen Ironbirds in the rubber-game of the series at 7pm. 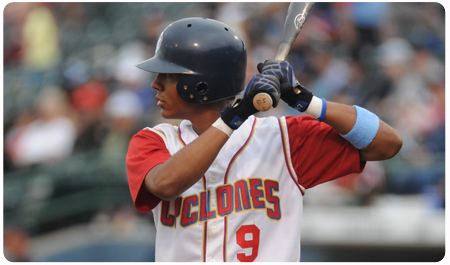 Thursday July 9th the Cyclones honor the United States Armed Forces for "Calling All Guards" night. 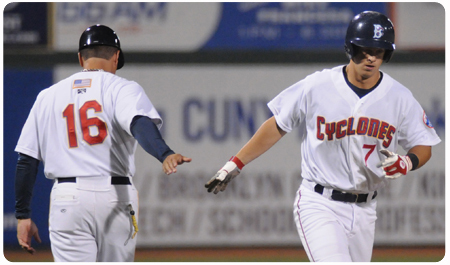 The Brooklyn Cyclones (14-2) won their eighth straight game on Sunday, topping the Tri-City Valley Cats (5-9) by a score of 3-0. 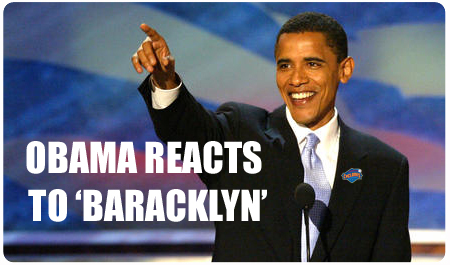 Brooklyn is off to the best start in franchise history this season. 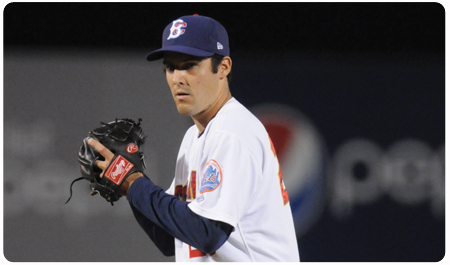 LHP Jim Fuller continued his brilliant start to the season with 6.0 scoreless innings. 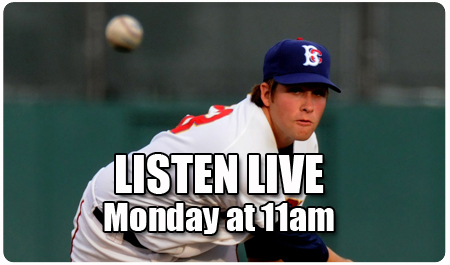 Fuller has yet to allow an earned run this season and leads the NYPL with a 0.00 ERA. 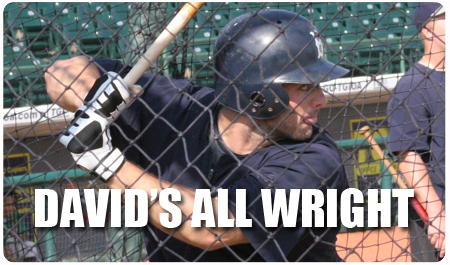 On Sunday, he struck out five batters and improved to a league-best 3-0 (tied with teammates Collin McHugh and Mark Cohoon). 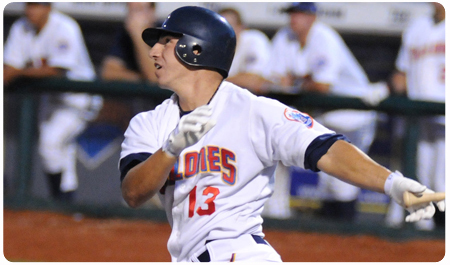 1B Sam Honeck went 3-for-4 on Sunday to raise his season average to .309. Honeck added one RBI. 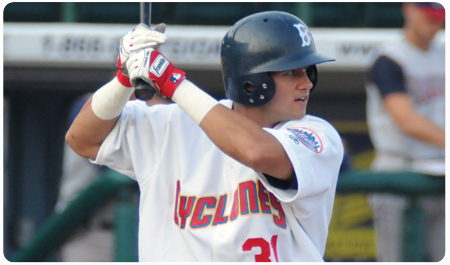 DH Dock Doyle went 2-for-4 and drove in the Cyclones' other two runs. 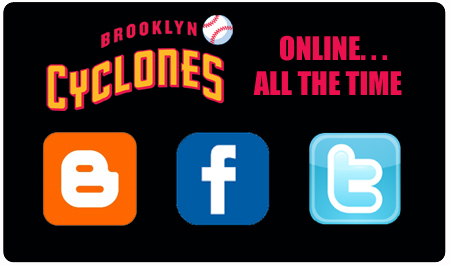 The Cyclones wrap up their series with Tri-City on Monday, with an 11am game, before returning to Brooklyn on Tuesday, July 7th to take on the Aberdeen IronBirds. 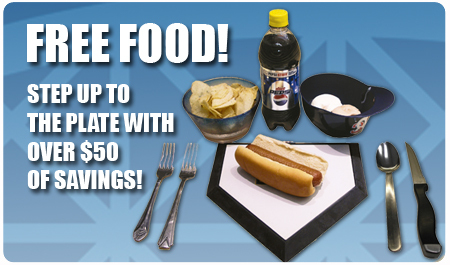 That night is Jewish Heritage Night at the ballpark, with an on-field hora before the game, a knish-eating contest and themed entertainment throughout the night. 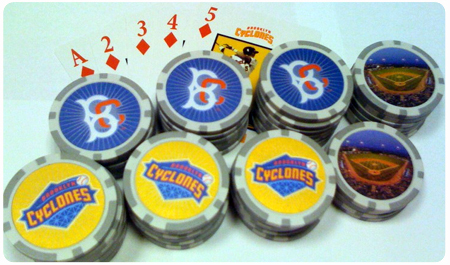 In addition, the first 2,500 fans will receive Cyclones Playing Cards, presented by Harrah's. 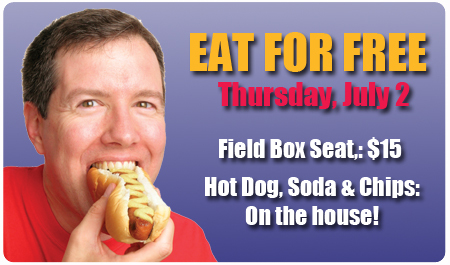 On Thursday, July 2nd, fans can eat for free when they buy a Field Box Seat for just $15. 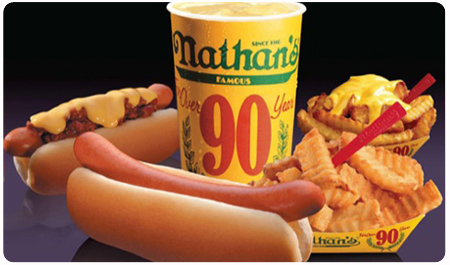 In addition to the best seats in the house, you'll get free food on the house -- a hot dog, soda, and chips at no extra charge! 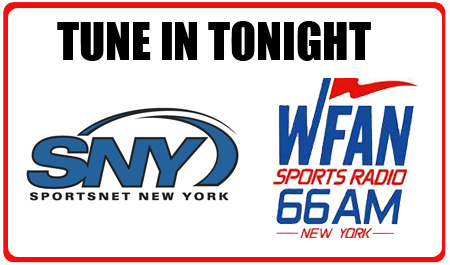 The first 2,500 fans in attendance for the 7pm game against the Tri-City Valley Cats will also receive Edgar Alfonzo t-shirts, courtesy of Long Island University. 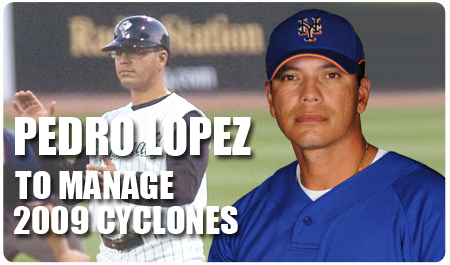 Alfonzo, the winningest manager in Cyclones history, amassed a career record of 151-82, while leading the Cyclones to two McNamara Division championships, and one New York-Penn League title. 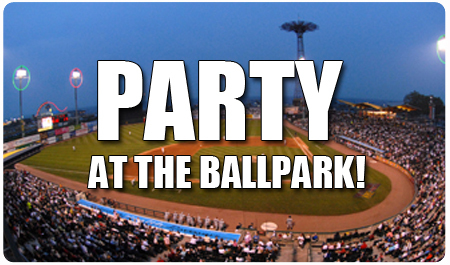 To take advantage of this special Eat For Free offer, enter the code POCKET when you click here, call 718-507-TIXX, or visit the KeySpan Park ticket window. Service charges apply to internet and phone orders. 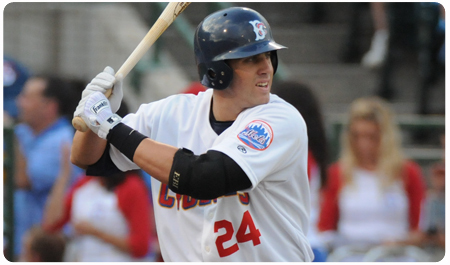 The Brooklyn Cyclones (6-1) topped the Aberdeen IronBirds (3-4) on Friday night by a score of 9-2 to notch the team's fourth straight win. 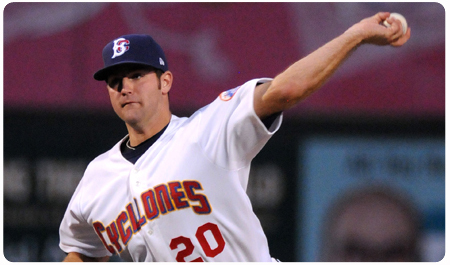 On Friday, lefthander Mark Cohoon (2-0) made his second strong start for the Cyclones, allowing just two runs (one earned) in 7.0 innings for his second win of the year. 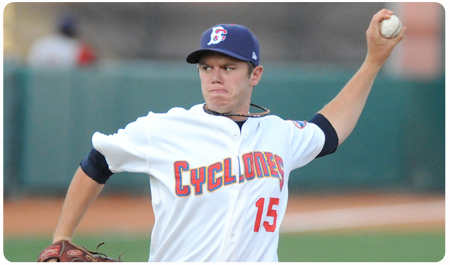 Cohoon surrendered just three hits, while striking out six batters. 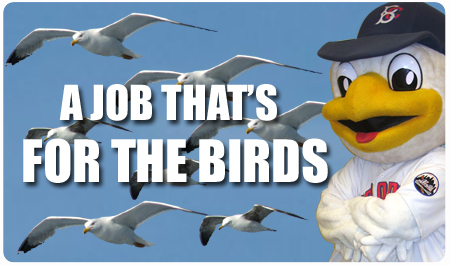 LHP Matias Carrillo relieved Cohoon in the eighth, and tossed a perfect frame. Carrillo has yet to allow a run this season in three appearances. 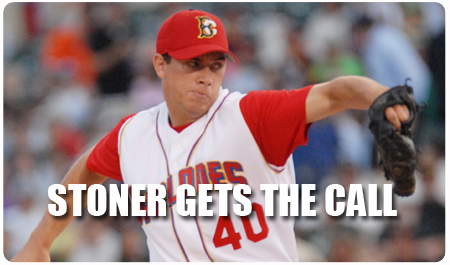 RHP Michael Powers closed out the game with a perfect inning of his own. 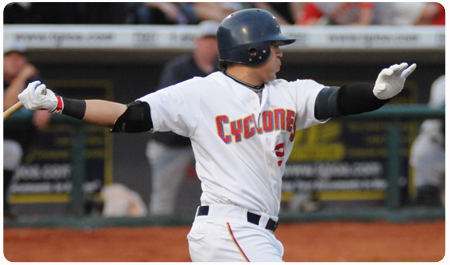 DH Ralph Henriquez got the Cyclones on the scoreboard with a solo home run in the second inning, his first of the season. 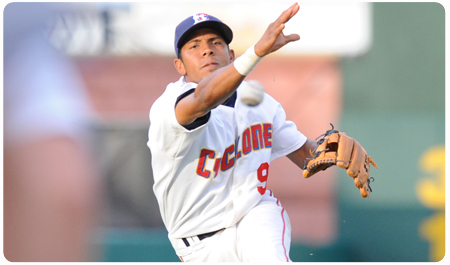 Henriquez (pictured, by George Napolitano) went 2-for-3 in the game. 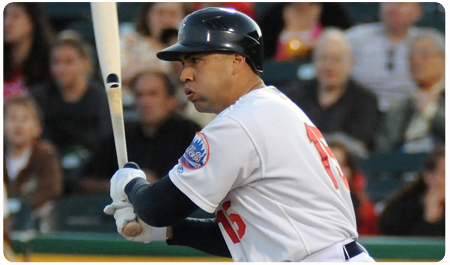 After Aberdeen tied the score in the third, SS Luis Nieves helped put Brooklyn ahead for good with a two-run home run, also his first of the year, in the fifth inning. 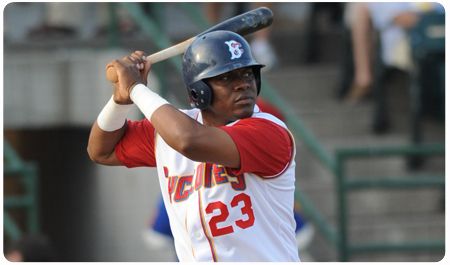 Nieves finished 3-for-4, and tacked on two more RBI in the ninth inning. C Juan Centeno continued his hot start, also going 3-for-4 to raise his season average to .471, and chipping in with one RBI. 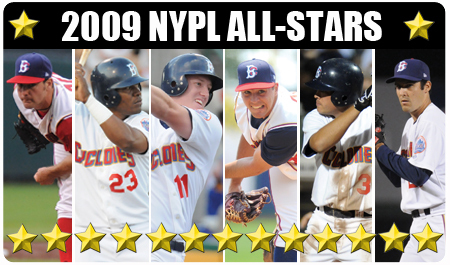 2B Matt Bouchard added two RBI, as well. 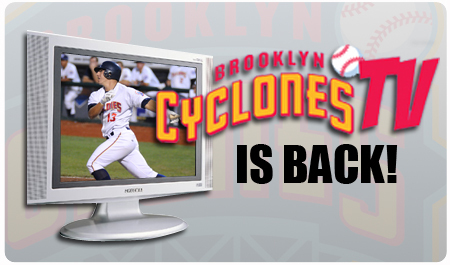 The Cyclones continue their series with Aberdeen on Saturday, before returning to Brooklyn on Sunday for another exciting game, with New York Mets pitcher Oliver Perez making a rehab start for Brooklyn. 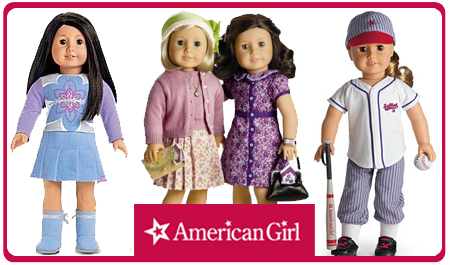 The 5pm game against the Hudson Valley Renegades will also feature American Girl giveaways and it will be Girl Scout Night at the ballpark. 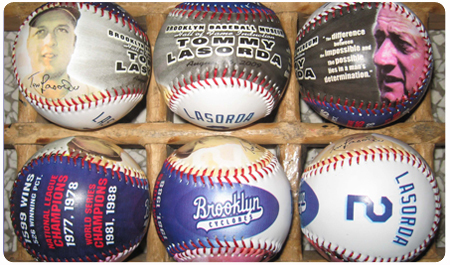 In addition, the first 2,500 fans in attendance will receive Logo Baseballs, courtesy of Astella Pharma US, Inc. in partnership with Donate Life. 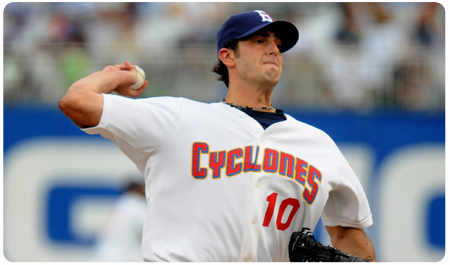 New York Mets pitcher Oliver Perez will pitch for the Cyclones on Sunday, as part of a rehab assignment. 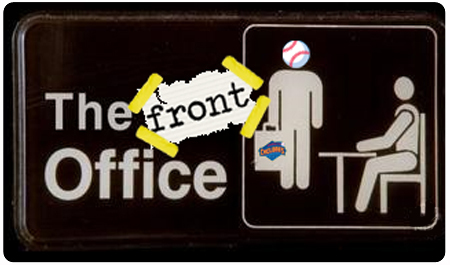 Perez has been on the Disabled List since May 6th, with patellar tendinitis in his right knee. 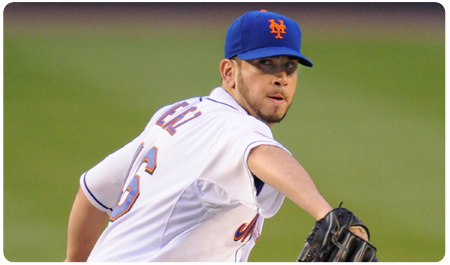 He is 1-2 with a 9.97 ERA in five games this season for the Mets. 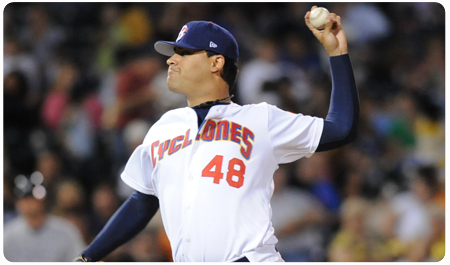 Entering the 2009 season, Perez was 55-60 with a 4.39 ERA in 175 major league games. 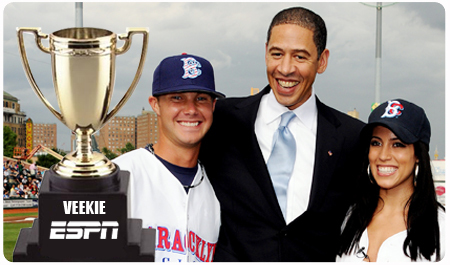 He joined the Mets in 2006, and starred in the postseason that year, going 1-0 with a 4.63 ERA in the NLCS. 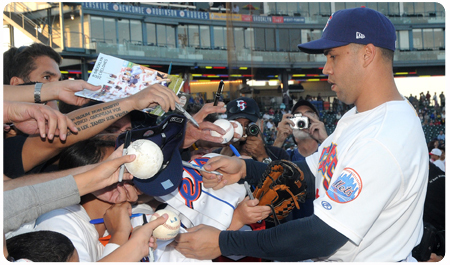 He won 15 games for the Mets in 2007, and 10 games in 2008. 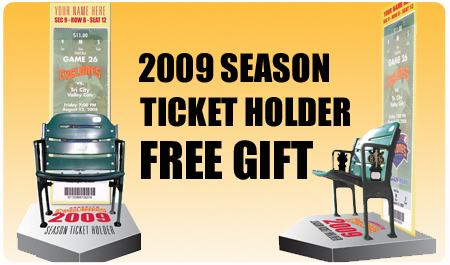 In 2004, while pitching for the Pittsburgh Pirates, Perez struck out a career-high 239 batters, and went 12-10 with a 2.98 ERA. 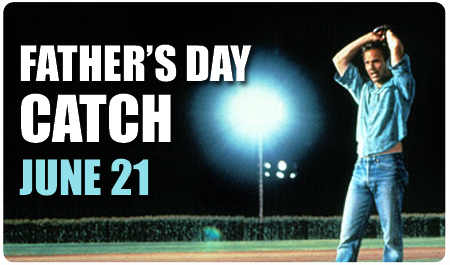 One of the most transcendent and meaningful moments of nearly every childhood involves having a catch with your dad. 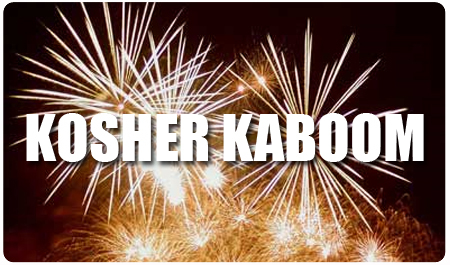 Don't just take our word for it, check out the endings (spoiler alert! spoiler alert!) 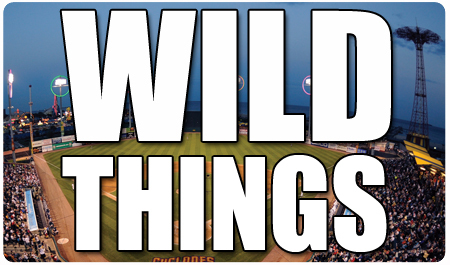 of two of the most popular baseball movies of all time: Field of Dreams and The Natural. 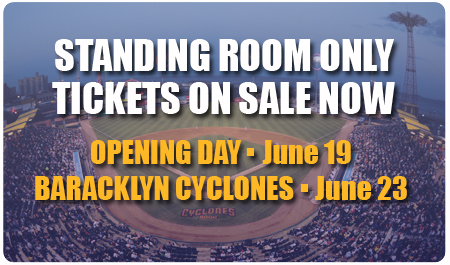 This Father's Day, the Cyclones are offering dads and their kids a chance to have a catch on Brooklyn's very own field of dreams -- KeySpan Park! 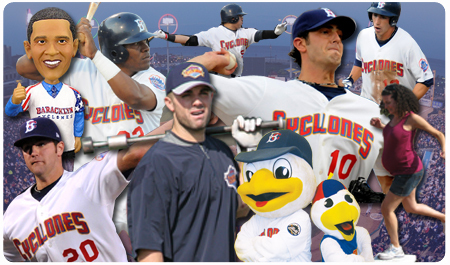 The Father's Day catch will take place on the outfield grass, prior to the Cyclones' 5pm game on Sunday, June 21st, and you must have a June 21st game ticket to participate. 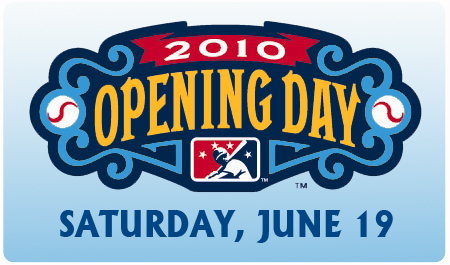 On June 21st, kids and their dads (of all ages) can have a catch on the field at KeySpan Park. 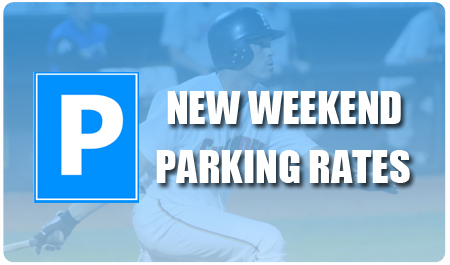 The ballpark gates will open at 3:30pm, and fans who are interested in participating in the Father's Day Catch will be asked to line up at Section 24, down the right field line. 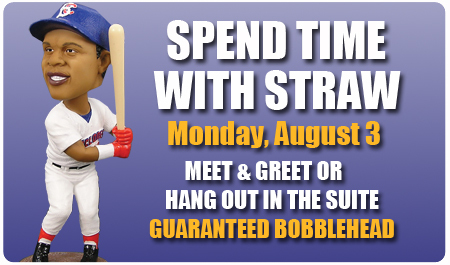 You must have your own gloves and ball to participate. 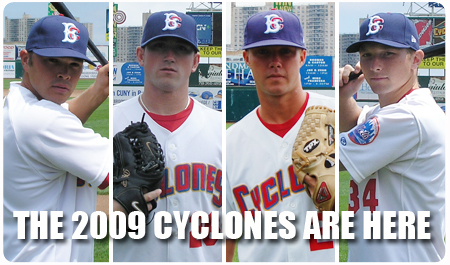 The Cyclones will be selling commemorative baseballs that day for anyone interested in purchasing one. 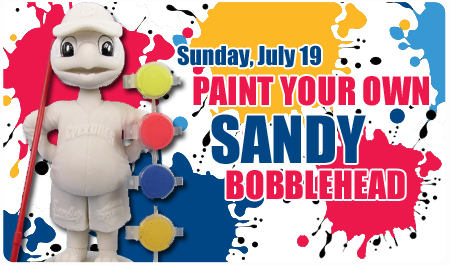 Participants will be invited onto the field in groups, and in five-minute intervals, through 4:30pm. 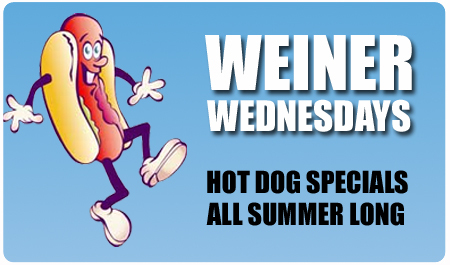 Please arrive early if you wish to participate. 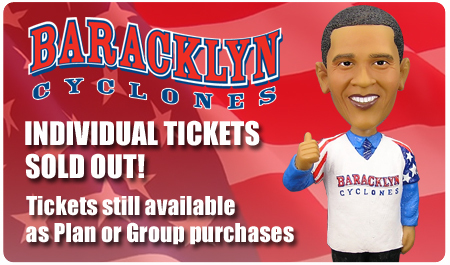 No one will be admitted onto the field after 4:25pm. 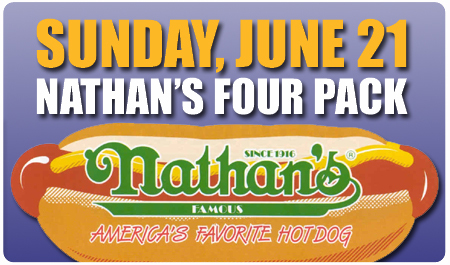 The June 21st game also features a Bucket Cap giveaway to the first 2,500 fans in attendance, and a Nathan's Four-Pack Combo option. 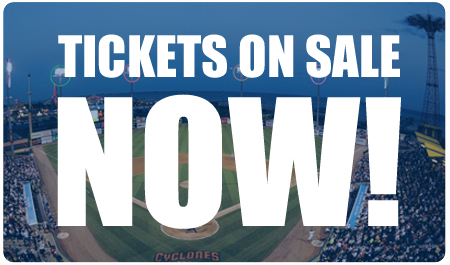 There's no better, or more affordable way to create a special Father's Day for the dad in your life than with the Brooklyn Cyclones this June 21st. 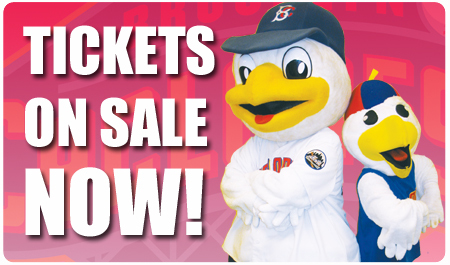 Get your June 21 Father's Day tickets now! 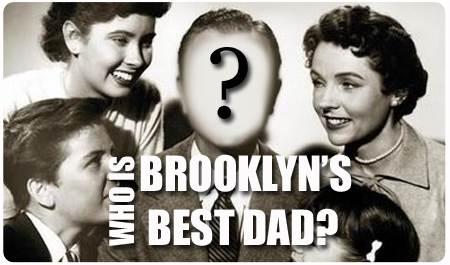 For generations, it has been said that Brooklynites have been “born into baseball.” This summer, that term may be more literal than ever before. 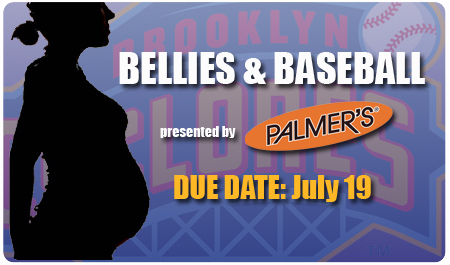 On Sunday, July 19th at 5pm, the Brooklyn Cyclones are hosting Bellies & Baseball: A Salute to Pregnancy. 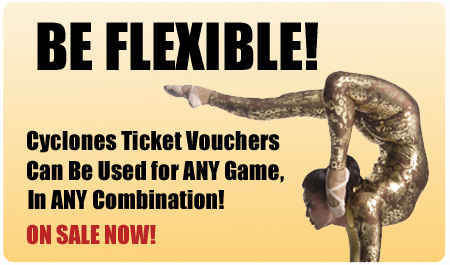 These flexible vouchers can be used in any combination you like -- use one per game, bring 22 people to one game, or anything in between -- it's your choice! 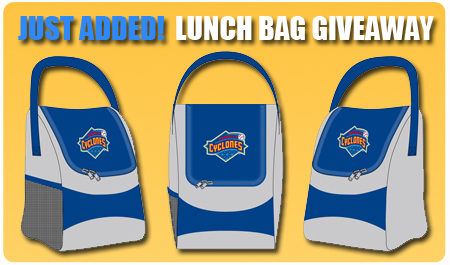 And that's not all...you'll also get an extra FREE voucher that can be redeemed for an adjustable Brooklyn Cyclones cap with each voucher book you purchase! 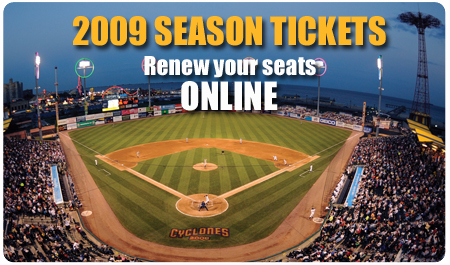 Season Tickets and Mini Plans will begin a renewal period in the coming weeks, and individual tickets will be on sale this Spring.